Call forwarding is useful if you are expected to be unavailable for receiving calls or lose cell phone coverage for some time. Call forwarding is not something that is "new" to modern phones. It is a feature which is invented in 1960s (the patent expired in 1980) of some telephone switching systems. 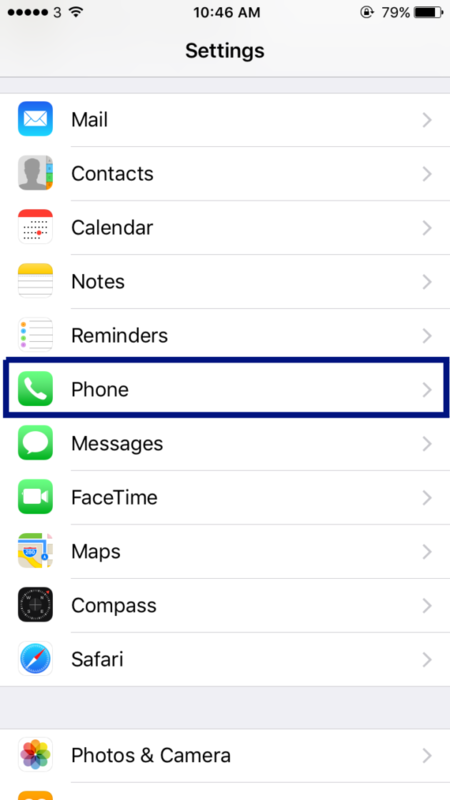 But with iPhone/iOS, there is a convenient call forwarding feature in iOS for you to set up call forwarding to forward calls to a landline or other phone by its number or disable the call forwarding. 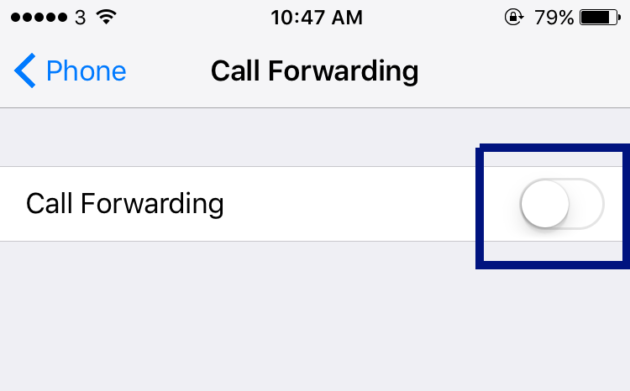 This post will introduce the steps for setting up call forwarding or stop call forwarding in your iPhone. Step 5, After you finished entering the number, tap the "< Call Forwarding" button on the top left to go back to the "Call Forwarding" screen. 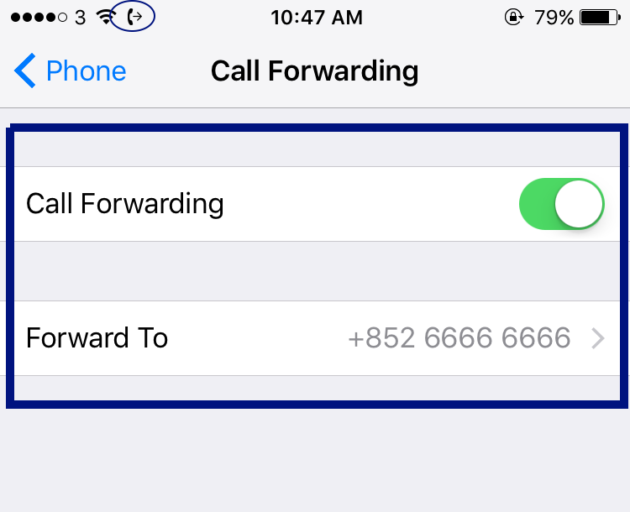 In the "Call Forwarding" screen of iPhone, you will see the "Call Forwarding" is enabled and you can view the number appears in the "Forward to" field. There is also a small "phone" and "out arrow" in the iPhone status bar indicating that the call forwarding is taking effect. You may try to call your number from another phone to test whether the call is successfully forwarded to the number you entered. 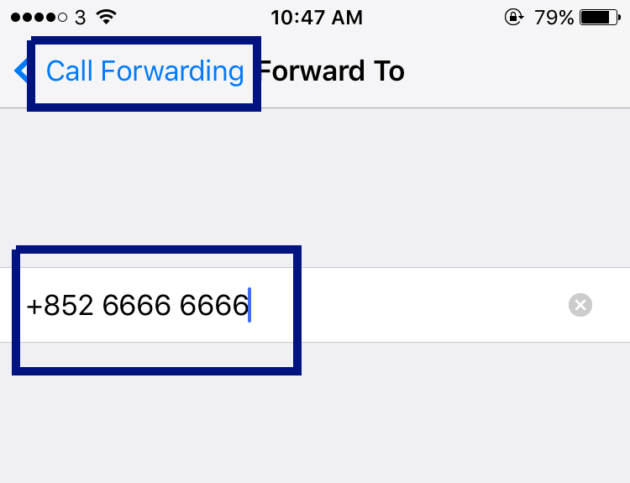 If you would like to change the number you forward to in iPhone, you may follow the steps 1-3 as in activating the call forwarding in iPhone. But in the step 4, change the number. And then follow the step 5 to view/test the call forwarding. 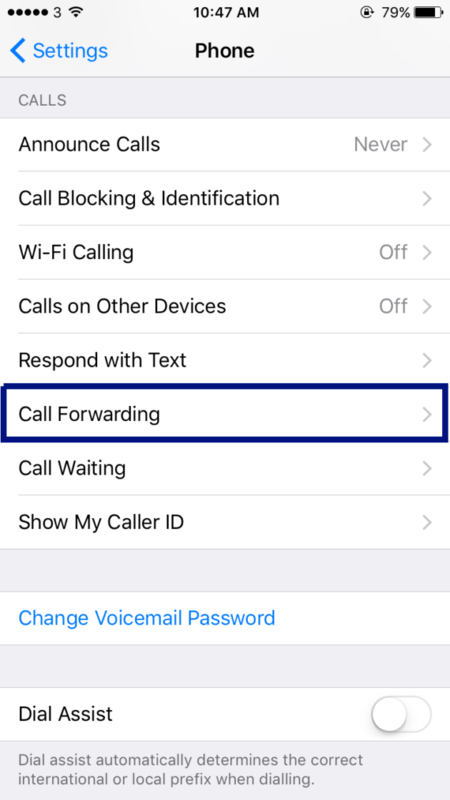 If you would like to stop the call forwarding in iPhone, you can follow the steps 1-3 as in activating the call forwarding in iPhone. But in the step 3, tap the button to disable the call forwarding instead of enabling it. After that, the small "forwarding" icon in your iPhone’s status bar should disappear. You may call your number again to test whether your iPhone can receive the calls. You may check with the mobile network operator. They usually have a way to disable it. Were u able to fix it? If yes can u tell me how to as well?